If you would allow, I have a bit lot of meandering to do in my post today. It’s a lot of pieces tied together telling the story of my verse for the year and more about ,wait for it–my new podcast! At the first of the year, I also saw how the MOB Society had decided to choose a verse for the year instead of a single word. I really liked that idea, although I’d already picked my word. I tucked that away to see if I needed to do that also. Then, one of my friends on Facebook linked over to Sarah Bessey where she had also picked a word (two, in her case) for the year, but also the Lord led her to a verse. And so, I felt like I should follow suit. I began to look up verses with the word focus in them, but did you know there is not a single verse in the entire Bible with the word focus in it? How could that be? Where was my verse? But, I really felt like there was a verse out there for me and I wracked my brain for a verse that might come to mind and the Christian-ese phrase, “focus on Jesus” came to mind. Google then led me to Hebrews 12 where it says, “fixing our eyes on Jesus, the author and perfecter of faith, who for the joy set before Him endured the cross, despising the shame, and has sat down at the right hand of the throne of God.” Oh yes, this is exactly what I felt led to in my one word post. I need to focus, or fix my eyes, on Jesus and where he might lead for the year. Let me push the pause button here because I need to introduce another thread here. A podcast? Are you sure? Back at the end of the year another word began to drill a hole in my head and that was podcast. Like, all the time: podcast, podcast, podcast. I found this to be strange because I’ve never had plans to birth a podcast out of this blog. Also, the only experience I have with a podcast is when I co-hosted a fan podcast for Friday Night Lights several years ago (Oh yes, I did interview Tami Taylor, which rocked my socks). But, I mean, certainly God wasn’t leading me towards that, was he? In addition, I’ve concentrated on writing here, not speaking. Speaking was the furthest thing from my mind. Did you know I used to hide behind my mom’s leg so I wouldn’t have to talk to people? Even the other day, I had to work up the courage to call a doctor to make an appointment. It’s ridiculous how I hate calling for appointments, specially after going through a case with the clinical negligence lawyers because of a situation that happened in the past. I have no idea why. I mean, in general I love talking to people and I love people, but I don’t know, there’s some anxiety there about doing it publicly. So, podcast, Lord? Really? If you’ve been around the past few months, you know this speaking thing isn’t entirely new, though. I really felt the Lord leading me to speak and teach about Eagle Feathers back in the fall. I ended up doing a little video series on those. So, podcast. It kept coming up, but I had no idea what to do with that. Should it just be me talking? Perhaps me and Scott? Me and my friends? My family? What would we talk about? How often would it be? I had all the questions. I emailed a few of my people to see their initial thoughts, and as supportive as they were of whatever I decided, none of them really had any solid direction to provide for me. And then one day, I was sitting journaling at my dining room table and I looked out the window and saw several birds out my window. It was very strange as birds had been pretty scarce in our backyard recently. But there were 2 or 3 of them, just hanging out near the window. And of course, I thought about our feather story. And sitting there, I really felt like the Lord dropped into my mind what the podcast should be about. The podcast would be a place for people to share their own feather stories. Not where God had shown up in feathers or butterflies or what not, but the stories where God had directed them to do something that maybe didn’t make sense at the time or from the world’s point of view was a little crazy, and yet by faith, they followed through and later saw the wisdom of his commands. So, maybe you had to move your family or quit a lucrative job or start a ministry or simply reach out and talk to someone but you weren’t sure why at first. It’s the stories of God speaking and his people having just enough faith to believe Him and obey. So, I began recording my feather story one day on the audio app on my cell phone to explore what the podcast might look like and I said, “the Bible tells of our great cloud of witnesses” and the podcast would be the place for people to share their own stories. Now, let me push play again and go back to where I’m sitting there reading Hebrews 12. I backed up a sentence from “fixing our eyes on Jesus” and it’s the part that says “let us throw off everything that hinders and the sin that so easily entangles, and let us run with perseverance the race marked out for us.” And like, woah. If you know my history, that verse is like a neon sign to me. My eBook written about my emotional affair is named “Entangled,” named from this verse. Looking at these verses, it feels so much the story that God is writing in my life. The last decade has been so much of throwing off everything that hinders and since last year, I’ve felt that shift to focus and run. 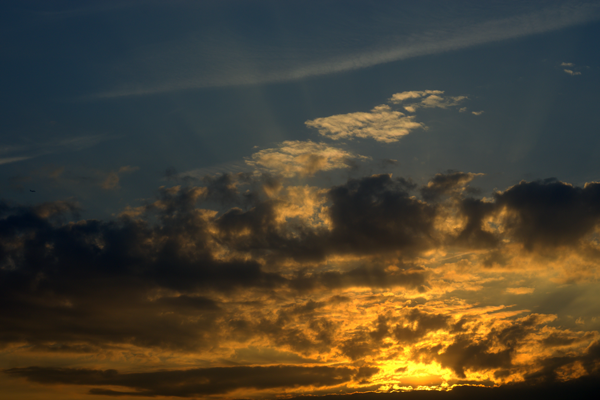 And then, if that weren’t enough, I backed up just one more phrase in Hebrews 12 and it says, “Therefore, since we are surrounded by such a great cloud of witnesses.” I was stunned. It was the exact phrase I had used about the podcast. And more than that, right in Hebrews, perhaps in reverse order was what I felt God had done and was doing in my life. Throwing off the sin that entangled, focusing on Jesus and then thrust behind the podcast. All of it neatly tied together. I backed up to Hebrews 11 where it shares many of the stories from those great cloud of witnesses–how Abraham left his home to a place he didn’t know and how the people passed through the Red Sea and how the people marched around Jericho and how Rahab welcomed the spies. All those times God told his people to do something crazy and the people had the faith to obey him. They are the feather stories of the past and the podcast would be a modern-day Hebrews 11 where people could share their stories of the present. So no one is building an ark or marching around Jericho but God IS moving. I want to give people an outlet to give Him that glory to say God is able and faithful and if we just believe and act in faith, we will see Him move. So, after I ran into this verse, I was pretty convinced this is the direction to go in. And then, THEN! Jennie Allen from IF:Gathering announced the new set of Scriptures that IF:Equip is going to study in preparation for the upcoming IF:Gathering and guess what it’s all about? Joshua. They’re focusing on faith and belief in God. They share how Joshua was one of only 2 that really believed God to lead the Israelites into the promised land and how he took over leading the Israelites and then led them to march around Jericho. 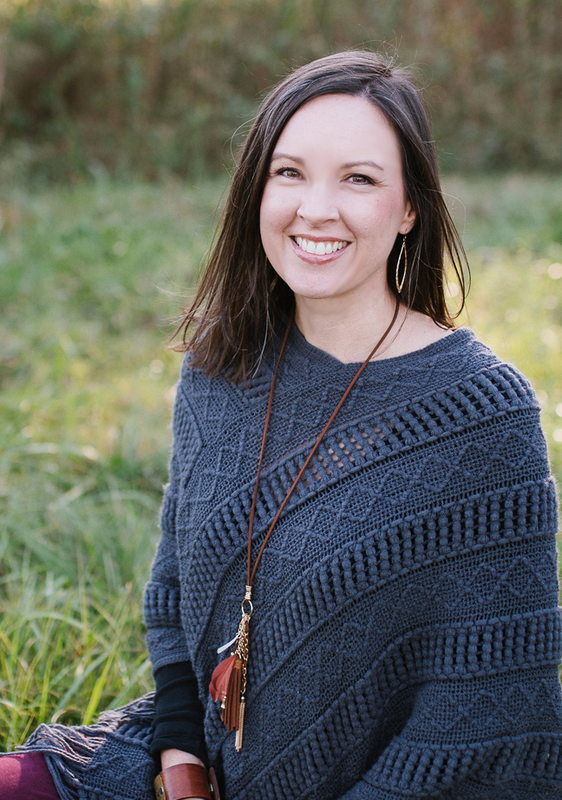 Jennie says, “We are excited to begin wrestling through unbelief and will fight for a deeper faith in God.” And yes, this is exactly what I feel like God is wanting to do through this podcast. Clearly, God is moving through his people right now and begging them just to believe he can do great things. We need these modern-day stories as encouragement. We need to build our own cloud of witnesses. And if that weren’t enough, just guess what Jennie is wearing in her video? Huge feather earrings. I have to laugh just a little because isn’t that so much like God? Jennie probably has no clue about our feather story or how God has been moving me towards the podcast and honestly, I hadn’t really been paying attention to what the IF:Gathering topic would be about this year even though I’m helping to plan our local gathering. It was just like one of those God winks through a feather to say, Yeah, you’re on the right path. And so, all of that to say, I’ve got my set of verses this year and a podcast is being birthed (seriously, it’s still just an idea. I haven’t done a thing!). I’m so excited to talk to people and see how God has moved in their lives. I’m so excited at the thought of people’s faith being encouraged and for folks to really step out in faith in whatever God has prepared for them. I believe He really, really wants to do great things through his people. So who’s with me? 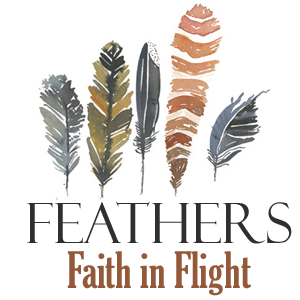 What should we name the podcast (Feather Faith, Feather Stories, etc)? Who knows someone who really needs to share their story? This is very exciting! I look forward to what you will be sharing with us this year. And, again, I smiled while reading this. Why? Because I’ve been struggling with setting goals for this year and feeling pulled towards getting rid of what hinders me first, instead of planning and starting other things. And then I read “let us throw off everything that hinders and the sin that so easily entangles, and let us run with perseverance the race marked out for us.” Thank you. I love when God uses the post to speak like that. Thanks for sharing! I just love how God moves us thru our life and we think things are insignificant (TV blog, TV podcast, feathers, etc.) and then he brings them all together and makes a big THING out of them that makes Him more famous AND it’s something that totally fits with you. LOVE. LOVE. Yes, I was thinking of this too–how God really does use everything for His good. Was it “good” that I spent time on that? Who knows, but He’s going to use that knowledge anyway. He’s so awesome! Sarah, I’ve been thinking the exact same thing. Even though I love feathers and what it means, I think appealing to a wider audience is going to require a title not tied to feathers. I really like a Cloud of Witnesses because if I saw that name, I would be super intrigued about the podcast and I think you would have a pretty good clue of what it was about. Thank you. I love “Feather Stories.” How awesome. I would love to be on it if you can deal with a rambling crazy lady. I definitely want you on!